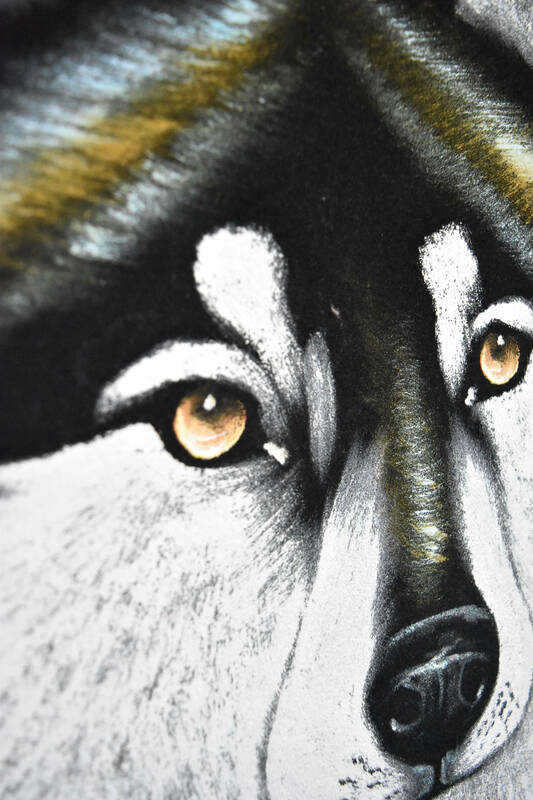 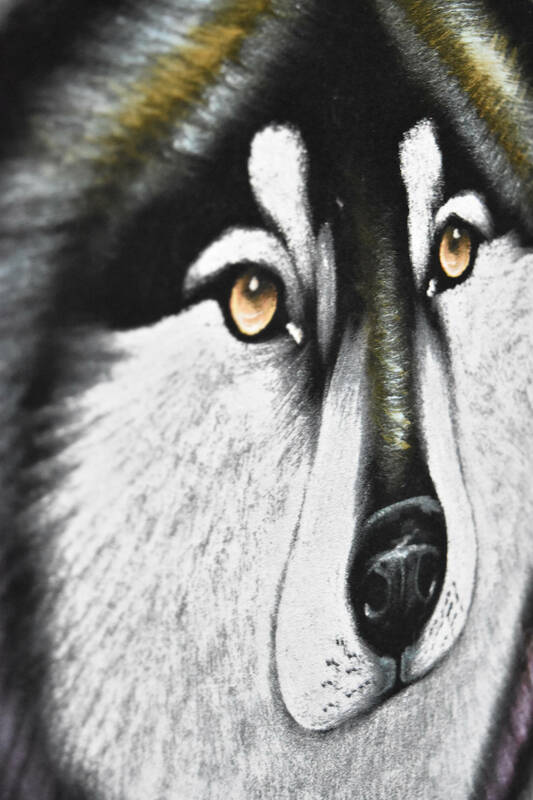 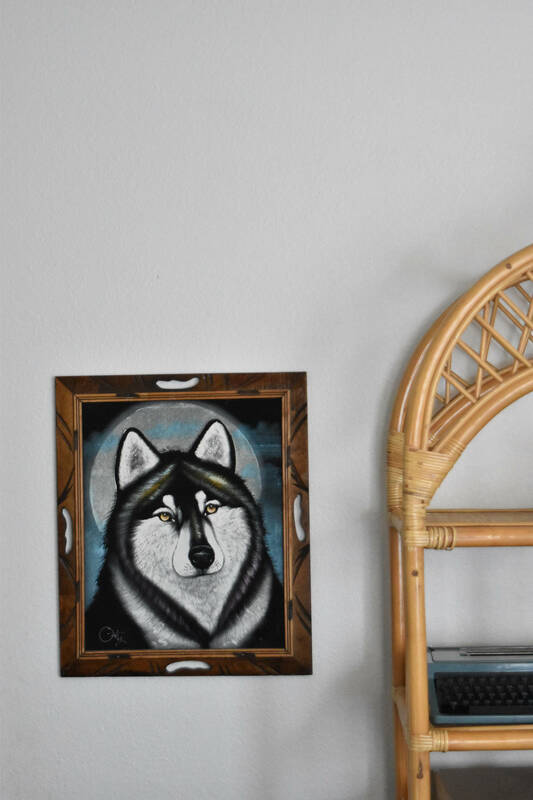 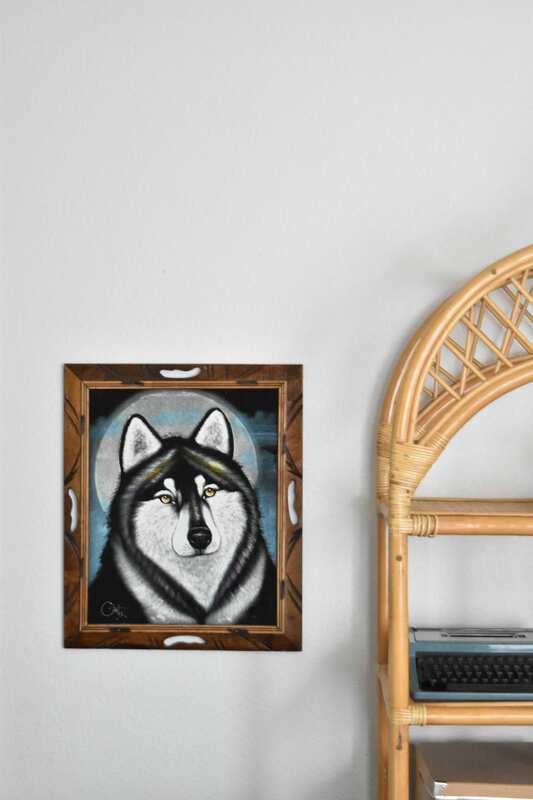 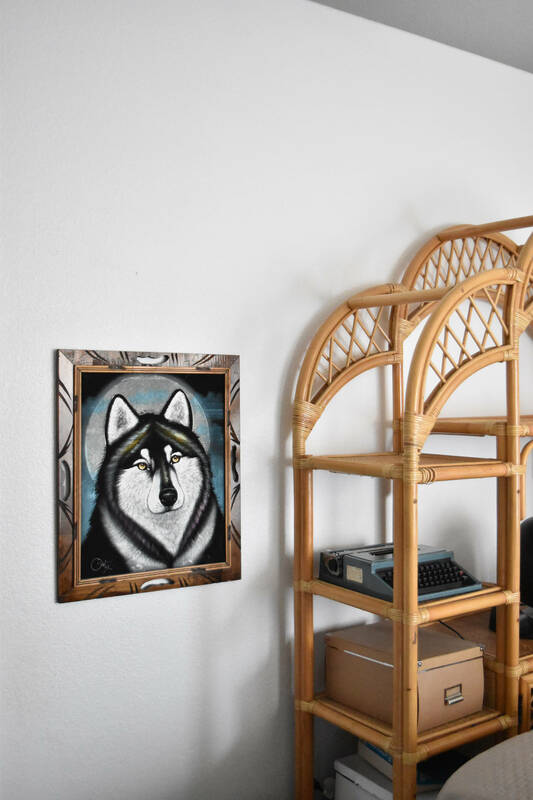 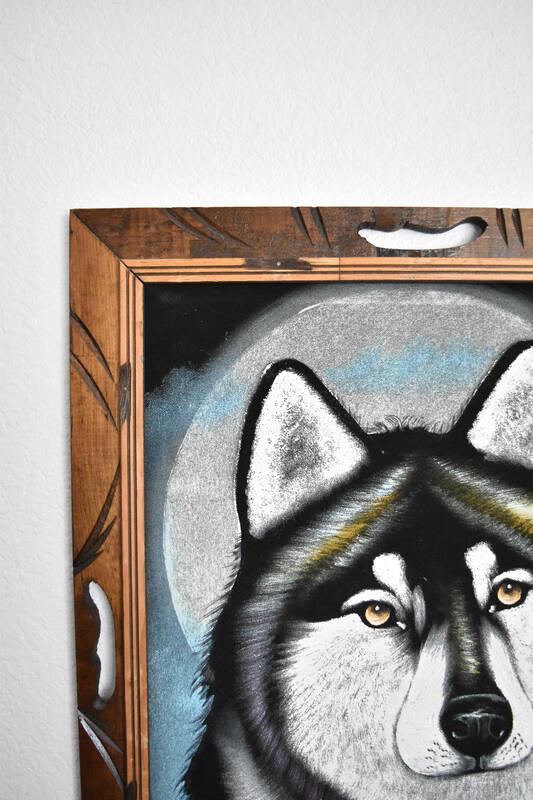 Vintage wood framed black velvet painting of a wolf. 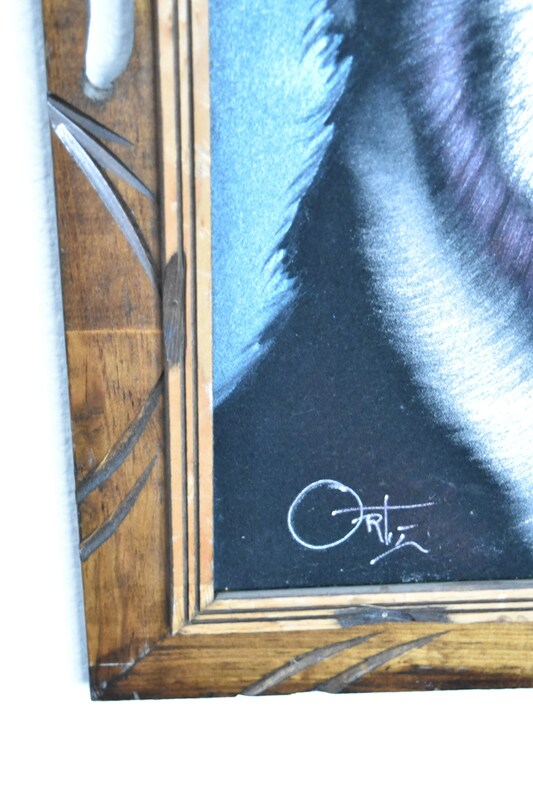 Signed by popular Mexican artist, Ortiz. 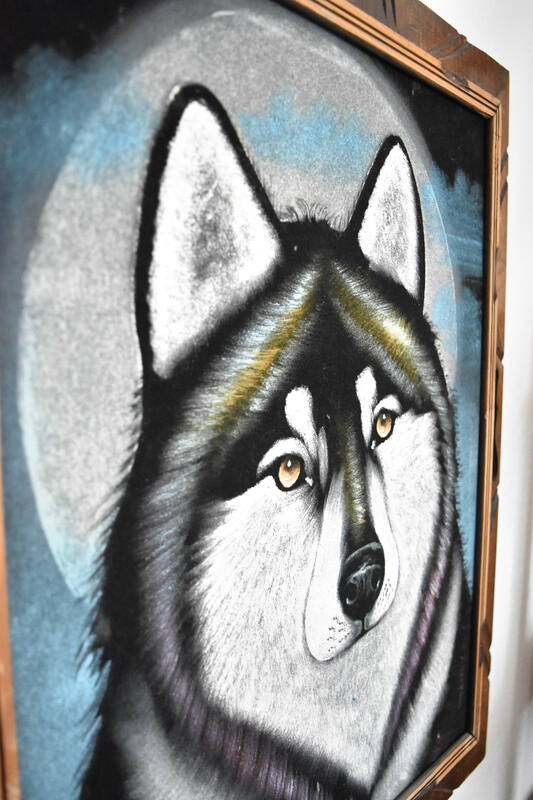 Painting is in good condition with little wear.